Wouldn’t it be nice to do just that? I know most of you can’t but it’s a wonderful thought, isn’t it? When I saw this print I smiled. Not only at the sentiment but at the determined look on the duck’s face. And look at his stance. He means business. “I’ve had it! I have been pushed to my limits and I’m done!” is what I see in this picture. There is no way to tell if he actually did what he felt like doing but I bet it felt good to announce his feelings to the world. I had many days when I felt exactly like he does. I wanted to vent not only my feelings of anger and frustration but also my cry for help. 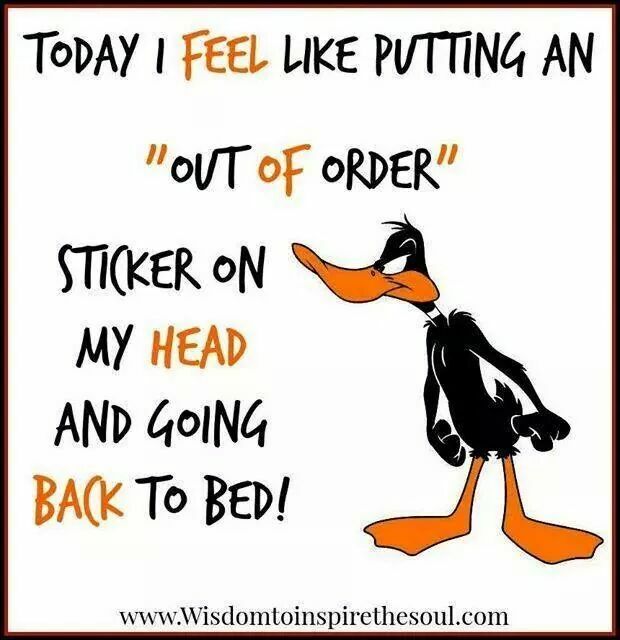 In those moments I truly was “out of order.” My body was exhausted and my spirit broken. I didn’t go back to bed and you won’t either. You can’t. There is too much to do. But, you can vent and you should. If not here, then in private. Look in the mirror and stand like this little duck and let it out. Cry and scream if you have to. And, if you do, drop me a note in the comment section and let me know how it goes. It may just make your day. I’m smiling just thinking about it and I hope you are too. Caregivers, to contact Dr.Phil and add your voice to mine click on the links below. I know the voice of doubt. It comes in the night to question and criticize. It tells us we are not good enough or smart enough to do this. It may come as a whisper or scream unceasingly. Either way it keeps us awake going over the activities of the day. “You think you’re so smart, why is she getting worse every day? Yes, I know the voice of doubt. I know how we question ourselves all the time. We expect so much of ourselves it’s impossible to live up to our expectations. When family members do it we know they are full of s**t and we get angry. When we do it to ourselves we start to believe. 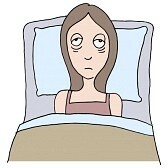 We lose precious sleep judging ourselves harshly. I know the voice of doubt. She whispered to me every night. She lied. I hope by writing this post I will be able to convince you that the voice keeping you awake at night is no better than mine was. 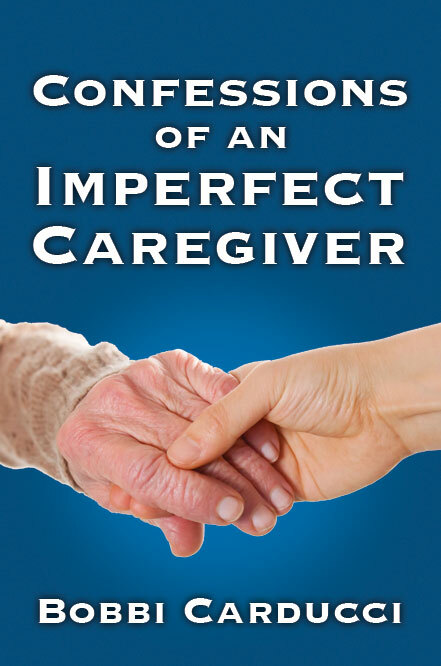 You are a caregiver and you do not have to be perfect to do what is best for the person in your care. And, sometimes being a little bit crazy is exactly what is needed in the moment. What are some of the things you say to yourself late at night? Share them here. It may help you and other caregivers silence the voice and allow you to rest when you can. I continue to plead with Dr. Phil to use his resources and the Dr. Phil Foundation to create a grant to provide caregivers with assistance. To Contact Dr.Phil and add your voice to mine click on the links below. This picture made me laugh. I remember playing that game with my little ones when they were reluctant to eat. Food was strange. Textures felt weird in their mouth. Green stuff tasted okay but the orange glop? Disgusting. Sweet stuff? Now we’re talking. For several days he’d been eating smaller and smaller portions of the purees, pushing my hand away when I tried to get him to eat more. I was at a loss as to what to do. “Pudding, the white kind.” I thought. If pudding was what he liked, pudding he would get. It was thick enough he could swallow it. It didn’t melt into a liquid like ice cream would, putting him at risk of aspirating and it was made with milk. There was nutrition in there and he liked it. We both were happier when I helped him eat a few bites of the pureed food and as much of the pudding as he wanted. There comes a time when we have to let go of what was and embrace what is. Foods they once loved no longer taste good and when that happens many of them want only sweet things. Ask the person in your care what his or her favorite food is. You might be surprised and inspired by the answer. Dr. Phil, I challenge you to use your huge resources and the Dr. Phil Foundation to develop a program of grants to help caregivers follow your advice to accept help, rest, take care of themselves so they can continue to care for those they love so much that they are willing to sacrifice their health to for them. If you support my challenge to Dr. Phil to do more than offer advice to caregivers please let him know via Facebook and/or Twitter and any other social media sites you use and by sharing this post with everyone you know and asking them to do the same. 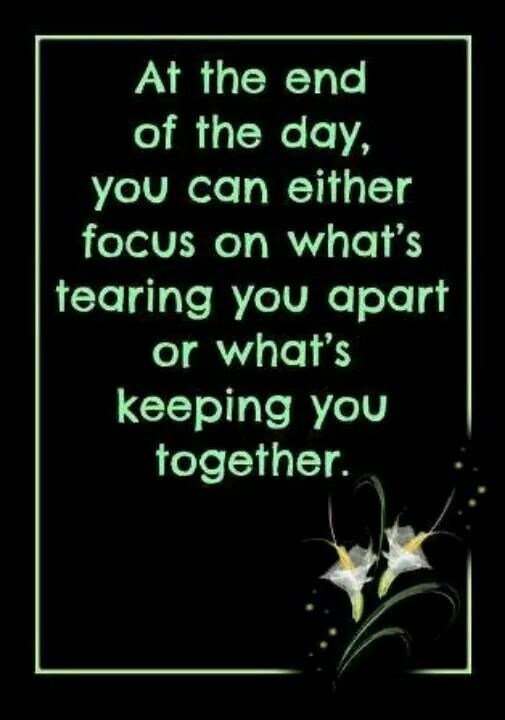 At the end of the day I spent so much time going over what I might have done better and trying to figure out how to fix an unfixable problem I lost sight of the truth. Together we were doing our best and that was all anyone could ask of us. 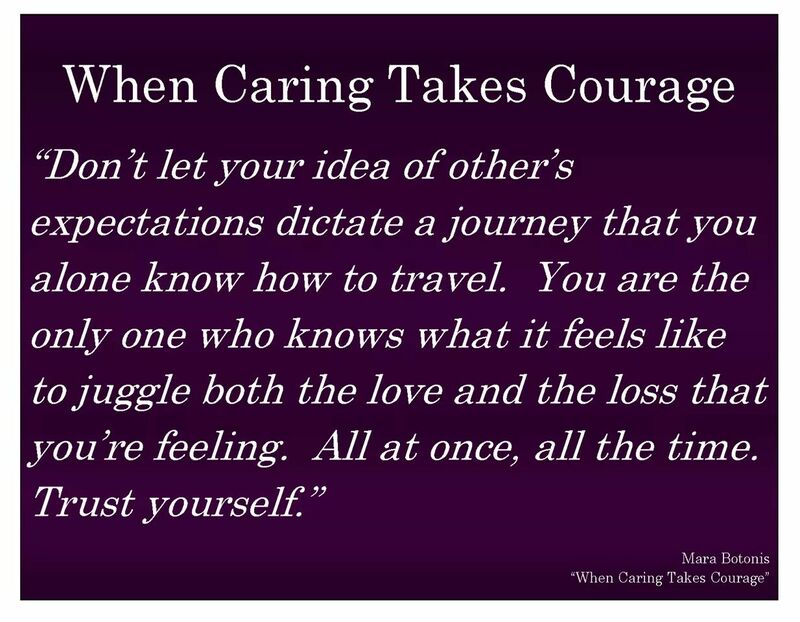 Caregiver, be kind to yourself you are doing something wonderful every day. Published by Open Books Press – $15.95 Print $2.99 e-book. The subject of murder-suicide is one I shuddered to even consider writing about. It would be much easier to write another piece, steeped in truth yet clothed in humor, like the one I wrote in November 2013 titled Give a Caregiver a Bath, than to tackle this subject. However if we, the caregivers and our families, don’t become educated about this issue more people will die. My deepest sympathies go out to the entire Nichols family in Purcellville, VA. The shocking news of the recent deaths of Edward and Margaret Nichols filled me with deep sadness. Although I never met them, I recently learned enough about these two very special people to realize that the quality of my life was enriched when I became a part of the community they helped to define. I wish that the end of their life together could have come with the same quiet dignity that defined them as they moved through our community. Shining examples of America’s “Greatest Generation,” they served their country, raised their family, and enriched the lives of those they encountered in the quiet way of truly good people. Margaret, known to friends as Meg, taught at the Columbia School for the Deaf in Manhattan before marrying Ed and moving to Purcellville. Later she was an active volunteer at the hospital and her church. Ed spent his life in service to others. He served on active duty in the Navy during World War II. He was a volunteer for the fire department, served on the board of the Robey Foundation, and was a valued and active member in the Purcellville Lion’s Club. He served on the Purcellville Town Council for 20 years, the Planning Commission for 15 years and the Board of Zoning Appeals for five years. Ed Nichols was a man who lived to help people. How then could he have killed his beloved wife of over 60 years and then taken his own life and how can we take steps to prevent something like this from happening again? While cases of homicide – suicide among the elderly are rare they seem to be happening more often than ever before. I find those statistics shocking and I fear that others in our community are in danger. Men are most often the perpetrators of homicide –suicides in older couples and frequently his motives are more altruistic than malicious. If a couple has been married for a long time and they are very dependent on one another the man can fear losing control when his health or that of his wife is changing. Even if the woman is not sick, a real or perceived change in the man’s health coupled with depression can precipitate the act. About half of all homicide –suicides are the result of this type of situation and are called Dependent – Protective Homicide –Suicides. It has been reported that Mrs. Nichols was in the later stages of Alzheimer’s disease and also had Parkinson’s disease and that Mr. Nichols was losing his vision and had hearing problems. It appears that Mr. Nichol’s last act was one of deep devotion coupled with an overwhelming sense of desperation. If only we had known we could have helped him as he helped so many others during his lifetime. There are common clues to a possible homicide-suicide that must be taken seriously. Knowing and acting on these clues may help you save lives. • The older couple has been married a long time and the husband has a dominant personality. • The husband is a caregiver and the wife has Alzheimer’s disease or a related disorder. • A move to a nursing home or assisted living facility is pending or under discussion. • The older couple is becoming more socially isolated, withdrawing from family, friends and social activities. • The older couple has been arguing or there is talk of divorce or a history of estrangement. • Since the husband is usually the perpetrator, look for the following signs. If your spouse is showing these changes, or if you are an adult child or relative and you see these changes in a parent, talk to them. Do not ignore these signs. Do not be afraid to ask if the older person has thought about suicide or homicide-suicide. You will not be giving them new ideas. Do not act surprised or shocked. This will make them withdraw from you. Continue talking and ask how you can help. Offer hope that alternatives are available. Do not offer glib reassurance. It may make the person believe that you do not understand. Get involved. Become available. Show interest and support. If you cannot do this, find someone who can, such as a neighbor or a minister, priest, or rabbi. Ask whether there are guns in the house. Ask the person what plans they have to die. The more detailed the plan, the higher the risk. Remove guns and other methods to kill. Do not be sworn to secrecy. Get help from persons or agencies that specialize in crisis intervention. Call a crisis hotline in your area or seek the help of a geriatric specialist. Do not try to do things by yourself. There is help in the community. If you believe there is a risk for homicide-suicide, contact a professional immediately. Call a suicide crisis center, a crisis hotline, a family physician, a psychiatric or medical emergency room, or a community mental health center listed in the yellow pages of your phone book.